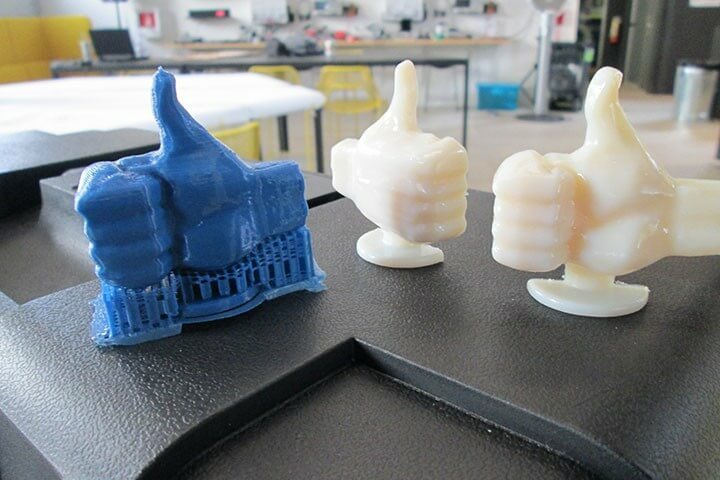 3D Printing for Injection Molding with Bruce Dominguez | Makeit, Inc. The most exciting thing about working in 3D printing is seeing the range of applications people use it for. This week we got a chance to visit our friend Bruce Dominguez at Supplyframe Design Lab in Pasadena, where he’s finishing up his term as Artist in Residence. 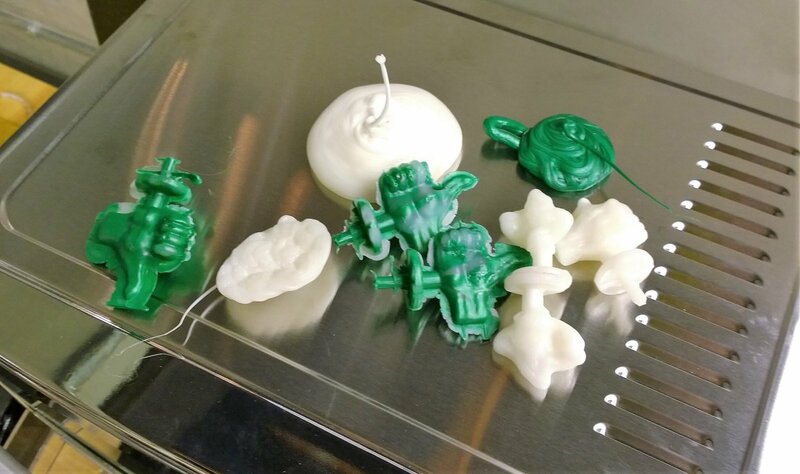 Bruce’s project “Call to Adventure” is a new look at an old toy, green army soldier figurines, using 3D printing and other modern tooling methods to re-imagine the classic toy. Click read more below to see more of Bruce’s process! Bruce walked us through his process for injection molding. 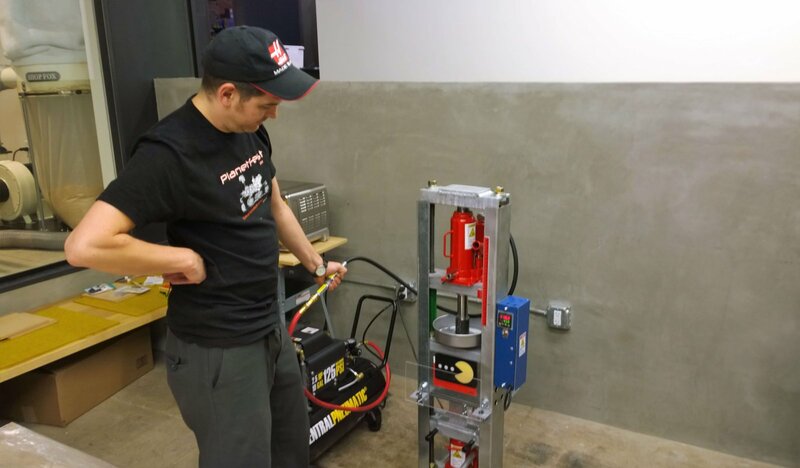 When he was finally satisfied with a design, after rounds of 3D printing, revision, and reprinting, he then took the CAD files and altered them for use in creating the injection molding tool. 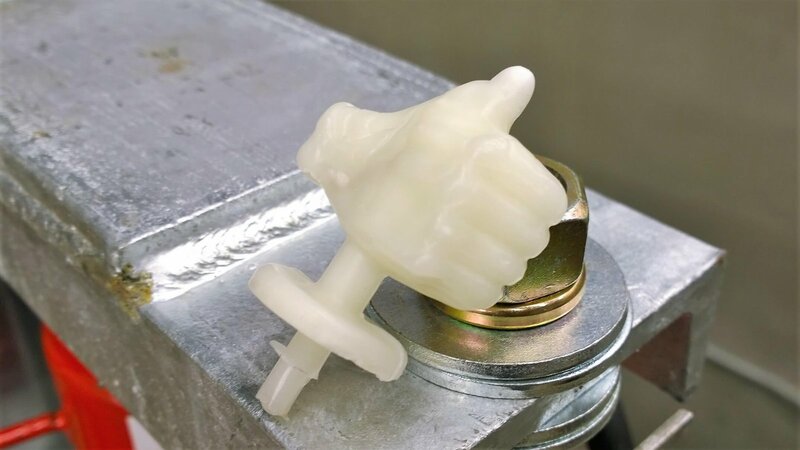 Making the final injection molding tool requires first creating a positive mold for a resin casting. Shown below, Bruce constructed his resin cast mold of a few pieces of plexiglass and his specially designed 3D printed parts. 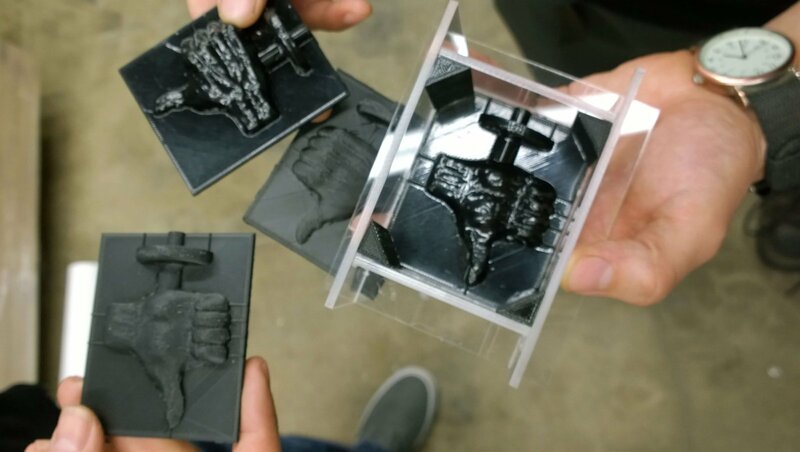 Printed on his MAKEiT Pro at high resolution with ABS, he then acetone smoothed the pieces to get the super glossy finish shown here. 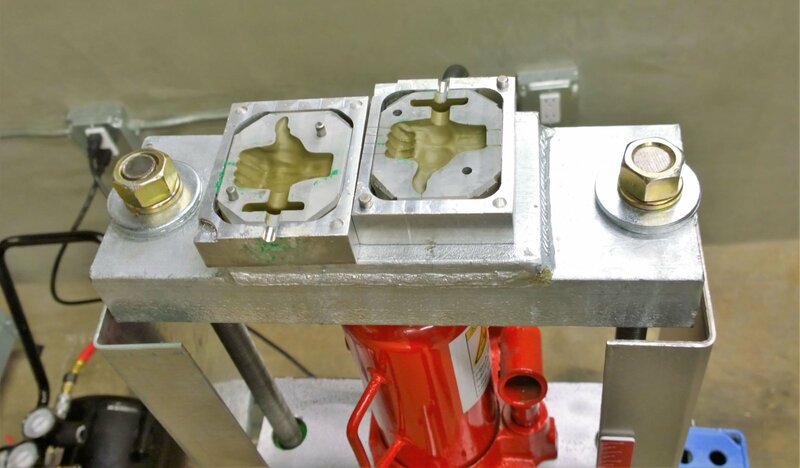 The injection mold was then cast using a special aluminum-filled resin which can withstand the heat and pressure needed for injection molding. Even after casting, Bruce cleaned up both faces of the mold on the CNC machine to get an absolutely smooth interface. The final injection molding tool shown here sitting on top of the injection molding machine. Here Bruce is showing us the basics of the molding process. You can see towards the bottom of the picture, just beneath the Pacman sticker, the closed up injection molding tool. High pressure from the press on top forces high temperature plastic down into the chamber to create the final molded part. Once the molding process is complete the tool can be removed, opened, and out pops a final part. Bruce admitted that it’s still a learning process for him, and injection molding is not without its problems like excess material and air pockets. Even still, it’s great to see the basics of this process up close and we’re excited to see how his project finishes up! Aside from using his MAKEiT printer to make injection molding tools, Bruce also showed off this custom precision driver holder, he designed and printed in PETG. 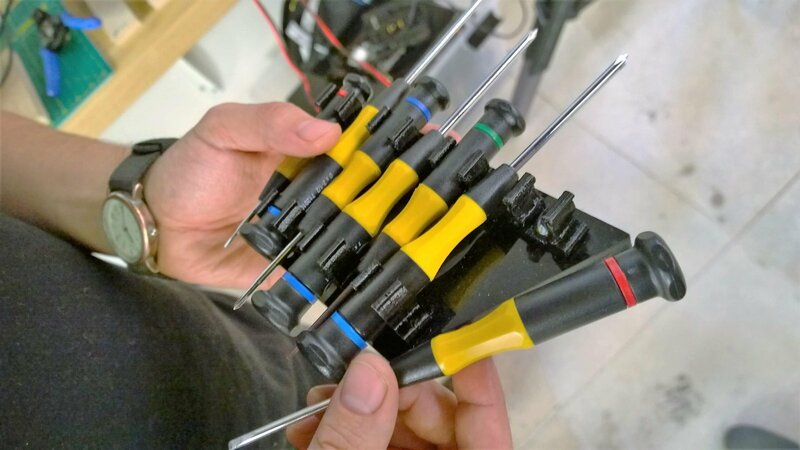 The PETG is strong enough to hold the tools securely, but flexible enough to comfortably release them when needed. A big thank you to Bruce Dominguez and Supplyframe for letting us stop in to say “Hi”. Check out Bruce’s Hackaday page for more of his great work! Pingback: The First Layer: Concealed Layer Start Points | Makeit, Inc.